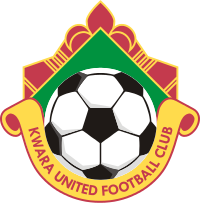 Fourteen players have been sent packing by newly promoted Kwara United FC as the club prepares for next season in the Nigeria Professional Football League. The Ilorin-based club in a statement sent to Bounce Sports on Monday indicated that they will be retaining 24 players. Top on the list of retained players is the highest goal scorer in the Nigeria National League, Michael Ohanu. Others who scaled the hurdles include: Eze Chidi Ebere, Chukwuemeka Godwin, Onigbari Akeem, Oseni Kazeem, Alebiosu Segun, Magaji Issa, Afeez Yusuf, Bitrus Dada, Eyimofe Joseph, Usman Jonah, Alfred Stephen, Oriaku Cyril, Abdullahi mohamondu, Binuyo Lookman, Onyegbula Francis, Odudu Sunday, Ayalogu Ifeanyi, Anthony Wilson, Aminu Awalu, Kelechi Mbonu, Solomon Owello,Isiaka Kabir,and Ajunwa Felix. Those deemed to be surplus to requirement are: Orire Lukman, Yusuf Muyideen, Morounfade Adebayo, Abdullahi Ayo, Onyeudo Bishop, Funsho Alamayo, Mohammed Farouk, Asuquo Philip, Abubakar Yusuf , Husseini Faruk, Fripong Daniel, Ahmed Jimoh, Baki Hakeem, Sulyman Sola and Charles Chinedu (who travelled abroad in search of greener pastures). Meanwhile, the team is expected to resume for training on Friday 27 October 2017 ahead of the 2018/2019 Nigeria Professional Football League season.